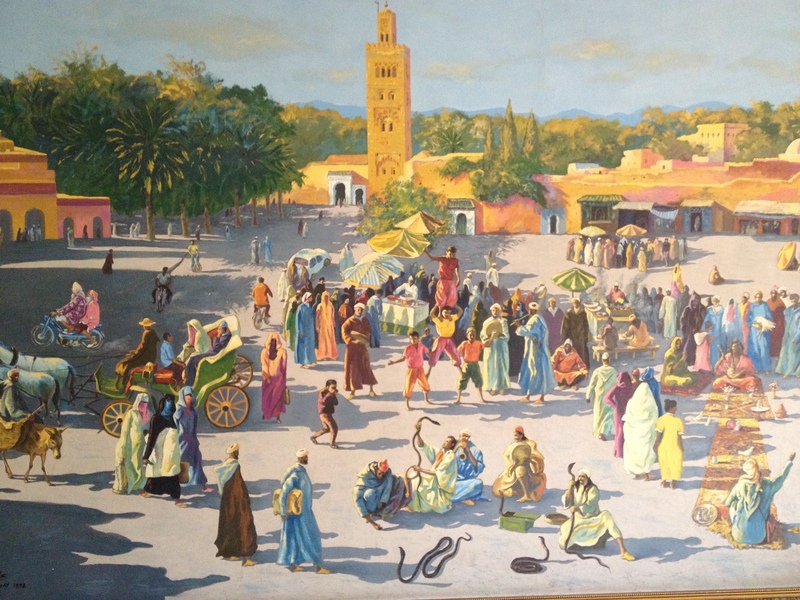 The Djemaa al Fna (Arabic: ساحة جامع الفناء jâmiʻ al-fanâʼ) is a square and market place in Marrakesh’s medina quarter (old city). When in epilepsy genetics, choose sides. When you (a young, motivated researcher) start working on epilepsy genetics, you have to make a basic decision. Option 1 is the decision to work on the genetics of rare epilepsies. Rare epilepsies, either monogenic families or epileptic encephalopathies are expected to have a strong genetic contribution. In the ideal situation, a gene can be identified if the family is sufficiently large or if you happen to pick the right phenotype. Option 2 involves genetic research in common epilepsies. In this case, you can claim to be working on the seizure disorders which represent more than 90% of patients. Identification of genetic risk factors in this group of patients undoubetedly has strong implications, be it the identification of risk factors for drug response, side effects or novel risk variants, which help you understand the underlying biology. However, few of these risk factors are known and large sample sizes are needed to create a sufficiently powered study. Interestingly, the distinction between these two options pretty much represent the differences between RES and CoGIE. Why not Option 3? Whichever option you chose, it has apparent downsides. You either work on very rare diseases or exhaust yourselve with more genetic complexity than you can handle. There is, however, Option 3. And Option 3 is what led part of the EuroEPINOMICS blogging team (namely Ingo, Johanna and Sarah) to Marrakesh. Option 3 involves genetic studies in familial forms of common epilepsies, particularly autosomal recessive variants of common seizure disorders. The paradox. For disorders such as Juvenile Myoclonic Epilepsy (JME), we expect a complex genetic architecture on the population level with a wide range of genetic risk factors, a high degree of locus heterogeneity and phenotypic pleiotropy of risk variants. However, families have been reported, in which such common forms of seizure disorders are inherited in an autosomal recessive manner. For Juvenile Myoclonic Epilepsy, for example, several families have been reported with recessive inheritance. Furthermore, Salzmann and colleagues recently identified a mutation in the gene coding for Carboxypeptidase A6 in a recessive family with Temporal Lobe Epilepsy and Febrile Seizures. These families provide the ideal opportunity to identify genetic risk factors with strong effect, which would help us understand basic mechanism. The downside, however, is that these families are extremely rare. This, again, is where Marrakesh comes into play. Genetic research in populations with a high degree of consanguinity. In several populations around the world, consanguineous marriages are frequent. Marriage within the family sometimes represents an important social factor. This constellation is seen in many Arab populations. Autosomal recessive disorders are relatively frequent in these populations and represent an important source of morbidity. Interestingly, highly consanguineous population do not have a significant increase in the frequency of common disorders, suggesting that the effect of recessive mutations occurs in a black-and-white fashion, i.e. these mutations cause severe monogenic disorders when present in a recessive state, but do not contribute strongly when heterozygous. Highly consanguineous population, therefore, lend themselves for gene discovery in recessive disorders. The frequency of these disorders is higher and identification of the underlying gene is highly important to the families and population for screening. What is recessive JME? You might argue that recessive Juvenile Myoclonic Epilepsy does not exist and probably represents a form of Progressive Myoclonus Epilepsy (PME) which either present in a mild form or is not properly diagnosed. While it is difficult to argue against the presence of an atypical phenotype in the absence of genetic data, a long non-progressive course of a mild myoclonic epilepsy without ataxia or additional features is difficult to reconsile with PME. And PME genes are notoriously absent in cohorts of patients with JME. These disorders are simply distinct. Therefore, recessive JME holds the great promise to identify novel recessive genes for IGE/GGE that will undoubtely unravel novel mechanisms. From the top of my head, I would not know a single gene that, when absent in a homozygous state, might cause JME and the mechanisms to be identified hold great promise. The Morocco trip (supported by the International Bureau of the BMBF) has allowed us to already include some families into the EuroEPINOMICS project with more families to come. This entry was posted in 2012, Familial epilepsies, IGE/GGE and tagged health, juvenile myoclonic epilepsy, medicine, research, science. Bookmark the permalink.